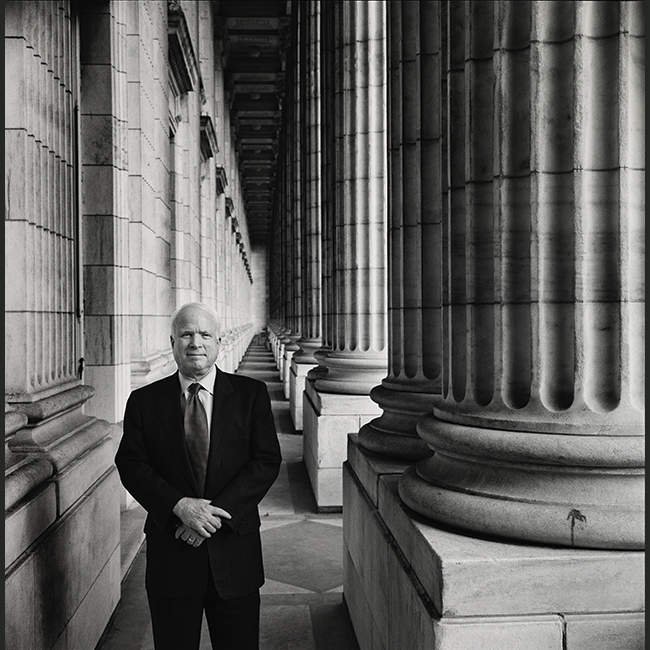 Arizona Senator John S. McCain III bid the nation farewell on August 25. For 60 years, McCain served the country either as a naval officer or as an elected official. 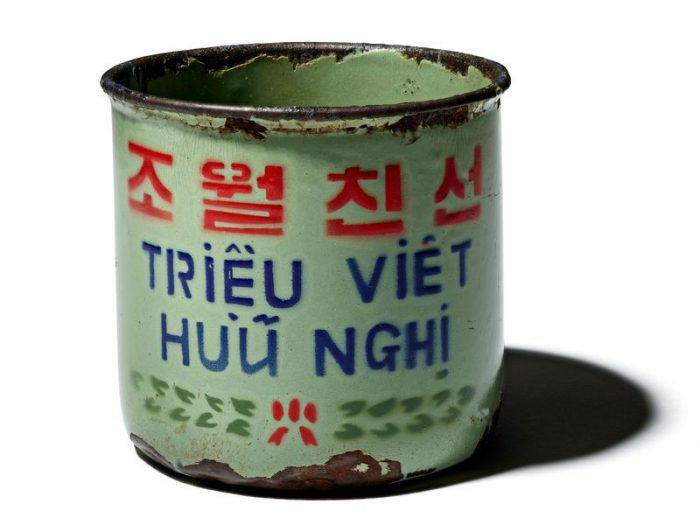 The National Museum of American History asked curator Frank Blazich Jr. to reflect on the remarkable career of a man indelibly marked—like the country he served—by the Vietnam War. As a curator of modern military history, when asked to reflect on John McCain’s life, I look to the Vietnam War. My late father served in the U.S. Army’s Seventh Cavalry in Vietnam in 1966 until enemy fire ended his combat service. The war forever remained imprinted on his soul and forever changed his destiny. The same, I believe, can accurately be said for McCain. Son and grandson of decorated admirals, McCain’s pedigree preordained a naval career. Like his forefathers, the young McCain found his character tested in a Pacific theater war. On October 26, 1967, while flying his 23rd combat mission, McCain’s plane was shot down. 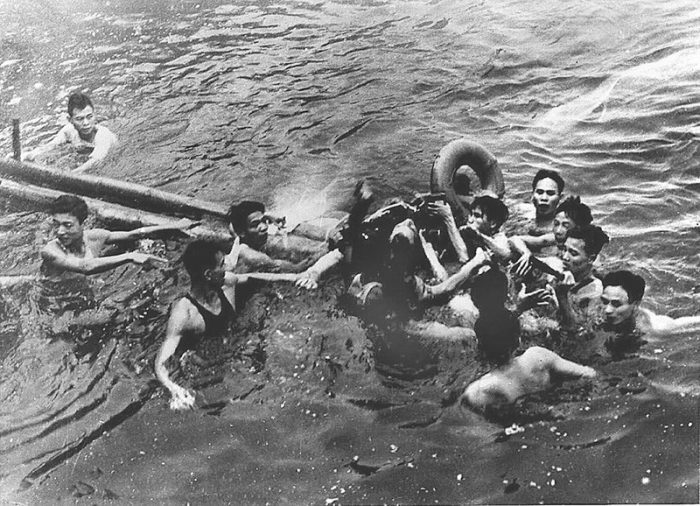 Forced to eject, McCain broke both his arms and his right leg and almost drowned when he landed in Trúc Bạch Lake in Hanoi. There, he was beaten and bayoneted by his initial rescuers before being taken to the infamous Hỏa Lò Prison, better known as the “Hanoi Hilton.” No American had ever entered the Hilton in worse condition than McCain. As a prisoner of war, McCain encountered several attempts at exploitations by his Vietnamese captors for propaganda purposes. Deemed the “crown prince” for his status as the son of Admiral John S. McCain Jr., the younger McCain’s medical treatment proved primitive at best. 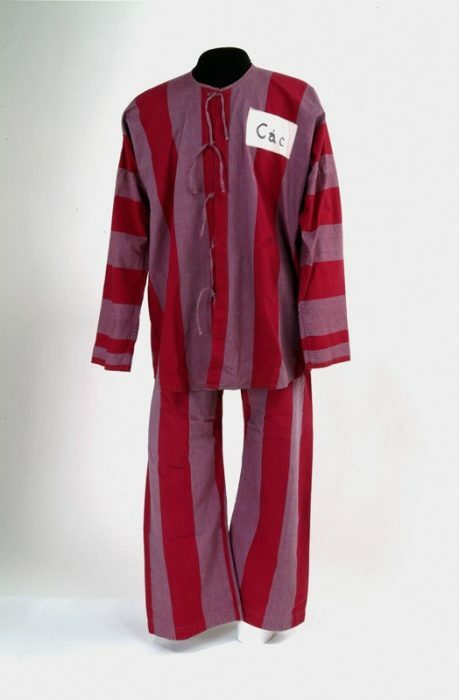 Brought out for propaganda interviews and visits by senior communist officials, McCain remained a incapacitated celebrity in squalid conditions. In late December, guards moved McCain out of Hỏa Lò to another prison camp on Hanoi’s outskirts nicknamed “the Plantation.” Near death and weighing barely 100 pounds, McCain found himself in the care of two Air Force pilots who fed him, bathed him, and helped him with other functions. In March 1968, the airmen moved out. For two solitary years, McCain lived in a ten-foot-square windowless room with two small ventilation holes in the ceiling. A senior prison official urged him to accept an early release. McCain infuriated his captor by refusing the offer unless every fellow prisoner was also released. Torture began in August. McCain suffered cracked ribs, smashed teeth, and new fractures to his right leg and left arm. At last McCain broke and made a forced propaganda statement. Down but unbroken, he bounced back and continued to resist despite repeated beatings and punishments. Unity with his fellow prisoners and faith in his country strengthened his resistance throughout the ensuing years. Released on March 14, 1973, he returned home with honor. His limp would prove permanent, and his arm movement would continue to be limited, his right arm two inches shorter. Retiring from the navy in 1981, McCain turned to politics. 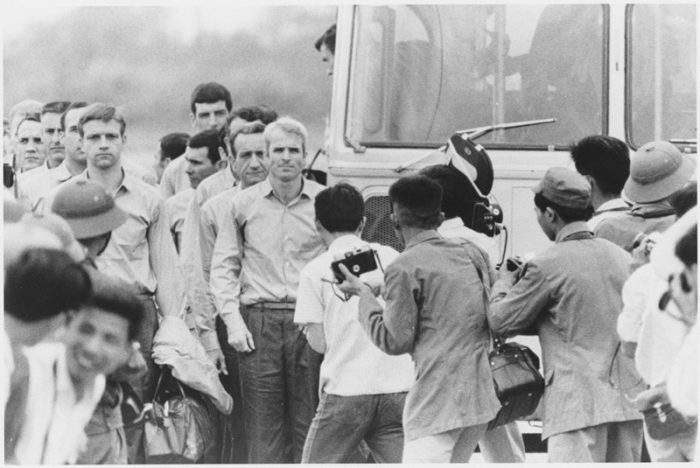 McCain with former prisoners of war in Hanoi being released on March 14, 1973. Courtesy of National Archives. Frank Blazich Jr. is a curator in the Division of Armed Forces History. He has previously written about the life and legacy of Corporal William T. Perkins Jr., a 20-year-old Marine deployed to Vietnam as a combat photographer, and Captain James K. Redding’s experience in the Battle of Hue. This is an edited version of a post originally published by the American history Museum’s blog, O Say Can You See? John McCain , O Say Can You See?